Comment: The gutters are old, falling apart, and clogged. They need to be replaced on this ranch house. Comment: I have a 2300 ft2 home, two stories. (front is 2.5 due to hill). I want the old cutters replaced due to leaks, and have "caps" so that cleaning is reduced. The installer will need to be able replace wood if needed. Shelton Gutter Cleaning & Repair Services are rated 4.79 out of 5 based on 824 reviews of 17 pros. 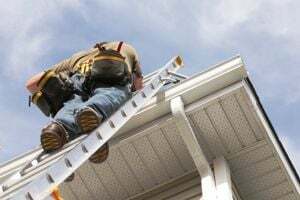 Not Looking for Gutters Contractors in Shelton, CT?